To some the term “freak” may have a negative connotation. And the fact that this website is called Sideshow Freaks may suggest that the people here are being portrayed in a negative or demeaning way, but that is not at all our intention. Recently we ran across a man who exemplifies what Sideshow Freaks is really all about and we hope that understanding him will also help you understand our intentions. His name is Dotan Negrin and he has been traveling across America playing an upright piano, that he carries in the back of his truck, on the streets of more than 53 cities. Mr. Negrin is a true sideshow freak. He is a man who has chosen to do something in his life that is both different and interesting. He has not won a Nobel prize. He has not made a billion dollars. However, he has chosen a path that is different from that chosen by most of us and in his own way is he changing the world. 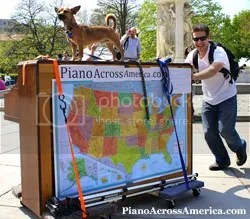 In April of 2011, Mr. Negrin started with a simple plan – a traveling project with his dog, Brando, and an upright piano. The plan was to cross America while performing with his piano in public places along the way. 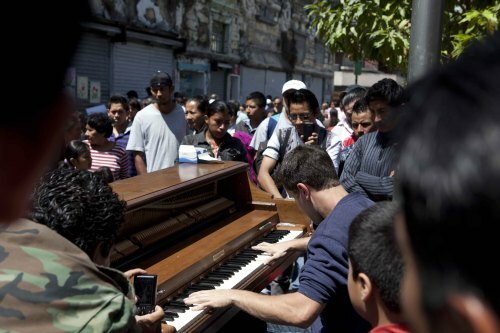 Since he started his trip Mr. Negrin has played on the streets of more than fifty cities and logged over 15,000 miles. He has appeared on television a number of times. He has been written about in a number of magazines and newspapers. And most importantly, he has touched the lives of thousands of people, who he probably would have never met if he had not taken the path less traveled. We believe that Dotan Negrin should be an inspiration to all of us. We can all make a difference in at least some little way if we are not afraid to step out and follow our dreams and passions. After traveling through the United States and Canada, Mr. Negrin is now traveling in Central America. 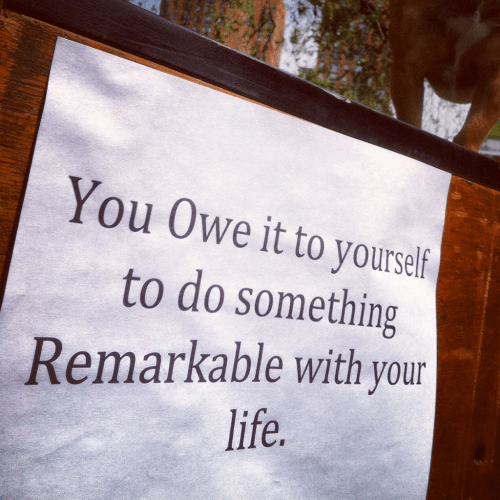 He has an outstanding blog that documents his travels and discusses some very insightful life lessons that he has learned over the last several years. The TV news video below gives a good overview of this man’s story, but we highly recommend that you also read his blog. We have put links below to several posts on his blog that we found most insightful. Greatest Fan Mail I’ve Ever Received! This entry was posted in Uncategorized and tagged Dotan Negrin, entertainers, freaks, piano across america. Bookmark the permalink.